It’s never too early to get the kids sharing the load! 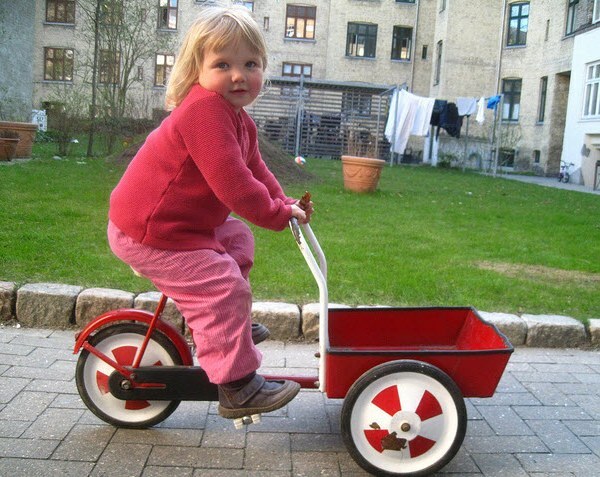 We have reviewed a number of cargo bikes on Babyology, notably Mobii, Taga and Trio but Babyologist and cargo bike fan Cubbieberry (that’s her Twitter name) recently alerted us to pint-sized cargo bikes. When you think about it, cargo bikes for juniors are sensible given they have so much stuff to tote around. Blankies, books, bears and drink bottles can be conveniently moved from location to location by your three-year-old with a cargo bike. 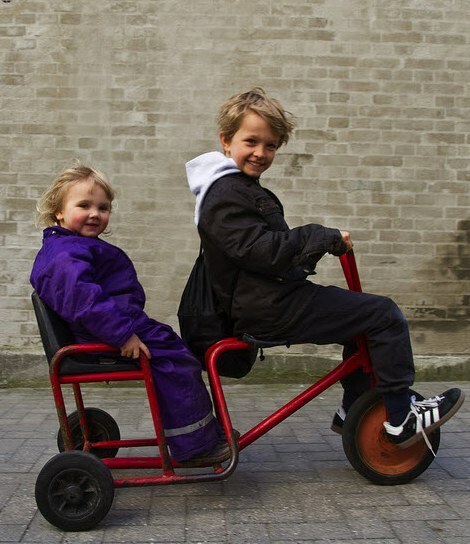 According to Copenhagenize, in Denmark cargo bikes for children are found at kindergartens, schools and areas of communal play… but good luck trying to buy one! After seeing the cute pictures of Danish children tearing around on various models of cargo bike, I began a search on where to buy one – disappointingly, my hunt was fruitless. I suspect these gems are handed from kid to kid, some are homemade or perhaps they are actually available everywhere in Denmark – except online. 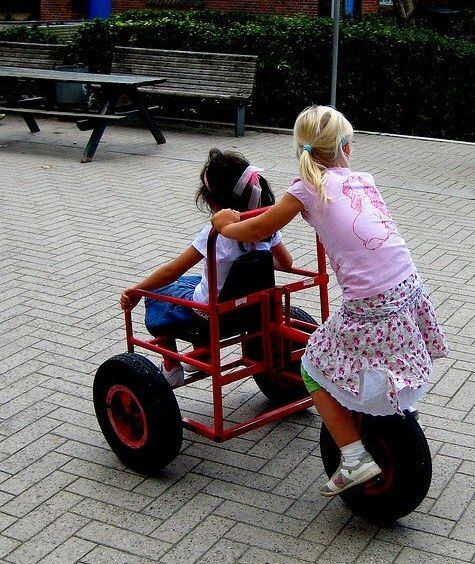 I rather fancy the model which allows kids to carry passengers – some might see it as a double-accident-waiting-to-happen but I see it as sweet relief from pushing my youngest around on her cumbersome trike (let her big brothers do some work!). Know of somewhere to buy a cargo bike for children? Let us know!